LAS VEGAS – At least three widely used credit and debit card purchasing terminals in the U.S. and U.K. have vulnerabilities that would allow attackers to install malware on them and sniff card data and PINs. The vulnerabilities can also be used to make a fraudulent card transaction look like it’s been accepted when it hasn’t been, printing out a receipt to fool a salesclerk into thinking items have been successfully purchased or an attacker can design a hack that would invalidate the chip-and-PIN card system, a security feature that is standard in Europe but only nascent in the U.S. It uses cards embedded with a chip and requires cardholders to enter a PIN to validate a transaction. The hacks were demonstrated at the Black Hat Security conference last week by Rafael Dominguez Vega, a Spanish security researcher and consultant for MWR InfoSecurity, and a German researcher who goes by the name Nils, who is head of research for MWR. Nils cemented his security bona fides in 2009 when he hacked three browsers at the Pwn2own contest at the CanSecWest conference. The team purchased three point-of-sale terminals on eBay, one of which is widely used throughout the U.S. and comes with a touchscreen and a feature for capturing cardholder signatures; the other two are used in the U.S. and the U.K. and have a port for inserting chip-and-PIN cards, as well as a mag stripe reader. To demonstrate their control of the latter machines, the researchers loaded a racing game onto one of the devices, which Nils then played using the device’s keypad (see video above). The game consisted of an “X” simulating a car, that Nils maneuvered on a road lined with trees. When his vehicle reached the end of the road, he printed out the game score from the terminal’s receipt printer. Although the researchers declined to name the brands of terminals they examined, and had taped over the names on the devices to prevent audience members from seeing them, VeriFone’s name popped up on the touchscreen device after the system rebooted and the firmware displayed its launch page. The device is VeriFone’s MX780 point-of-sale terminal. The other two devices match Vx models of terminals made by VeriFone. According to the researchers, the MX780 model, widely used in the U.S., has remote administration capability that allows the devices to communicate regularly with a server. But the researchers found that the terminals do not authenticate the servers with which they communicate, so the researchers were able to design a man-in-the-middle attack that tricks the terminal into communicating with their rogue server and allows them to download malware to the device. Although an attacker would have to be on the same network as the device to conduct this attack, the devices are set up to periodically connect to the remote server as well as connect during reboot, providing easy access to the machines once the attacker is on the network. The researchers noted that there are also wireless versions of the terminals that communicate with a store’s network via WiFi. Once they have access to the device, the researchers found that the terminals, which use an operating system based on Linux, have a vulnerability that would allow an attacker to change applications on the device or install new ones in order to capture card date and cardholder signatures. According to the researchers, the vendor is in the process of producing a patch for this model, but they note that it will take a while for the patch to be deployed to all of the devices in the field. The other two models of terminals, designed for use with chip-and-PIN cards, have different vulnerabilities being exploited. Chip-and-PIN cards became mandatory in the UK in 2006 and will become widely deployed in the U.S. over the next year. Both MasterCard and Visa announced earlier this year that they would be migrating U.S. consumers to chip-and-PIN cards by April 2013. The cards contain an embedded security chip that verifies the customer’s PIN when he or she enters it on a keypad. The chips also hold a secret key that validates the card to the bank. The key is supposed to ensure that fraudsters who know a bank customer’s PIN can’t simply embed the data into any chip-enabled blank card and use it to withdraw money from the customer’s account. The attack the researchers used involved a stack-based buffer overflow vulnerability in the EMV protocol that is used to process chip-and-PIN cards. Using that vulnerability the researchers were able to install malware on the machines to take full control of the terminals, by simply inserting a rogue payment card containing the malware into the smartcard reader. Because the devices allow only signed applications to run on them, the researchers weren’t able to alter the firmware itself, so they placed their rogue code into the device memory instead. Once in memory, the malware recorded card data and PINs for any cards subsequently inserted in the device and stored it in the device’s memory. To collect the data in storage, the researchers simply inserted a different card in the device afterward, and collected the card data that had been siphoned. The terminal produces an “invalid card error” when the rogue cards are inserted, but otherwise Nils said there is no indication that anything has occurred. Because the malware prevents the device from connecting to backend systems when rogue cards are inserted, there is no lingering record in the system that two invalidated transactions occurred. There is one limitation to this kind of attack, however. Because the malware runs in the device’s memory, it would be deleted each time the terminal was rebooted, forcing an attacker to re-install his malware. The researchers found they were also able to subvert the chip-and-PIN function on readers to get at the magstripe data printed on cards. 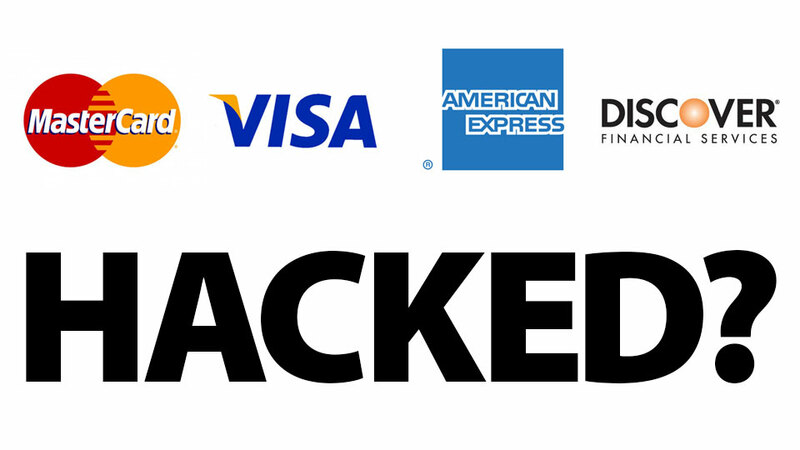 In order to be compatible with ATMs in the U.S. and elsewhere that read only magnetic-stripe cards, chip-and-PIN cards currently have a backup magnetic stripe on them. Until now, thieves have been using skimmers and hidden cameras installed at ATMs to capture the mag stripe data as well as the customer’s PIN as he or she typed it on the keypad. In the attack designed by Nils and Vega, however, the same data is stolen without a skimmer, simply by writing malware that cancels the chip-and-PIN transaction after the customer types the PIN, and produces an error message instructing the cardholder to swipe the card through the mag stripe reader, thus allowing the attacker to clone the card data from the mag stripe and use it with the stolen PIN. The researchers note that the vendor has already produced a patch for the vulnerabilities used in this hack. Pakistan Biggest Mobile Store Hacked !! !